Growing up I always looked forward to my mom hosting her morning Bible study or having company over at our house because it always meant one thing... that she would be making coffee cake. This stuff is amazing... and trust me, you can't ever have just one piece. But that's okay, because it is super easy to make, and you probably already have all of the ingredients lying around! And it's funny now some things never change - I still eat the brown sugar crumbles off of all of the pieces! 2. Crack an egg into a 1 cup measuring cup and fill the remainder with milk. 3. Whisk together the egg and milk, and then add to the dry ingredients. 4. Pour the mixture into a greased 8x8 pan. 5. Mix together the brown sugar and cinnamon, then sprinkle on top of the batter. 6. Bake for 35 minutes at 350 degrees. 7. Melt the butter, and as soon as the coffee cake is done baking, drizzle the butter on top. I love coffee cake and this looks so delicious!! That DOES look like the best coffee cake in the world! Bookmarking this! that looks so delicious, lisa! sorry i have been so out of touch. I know i owe you an email but with moving things were crazy! Yum! This looks SO good. I had no idea it was so easy to make.Thanks for sharing girl! YUM! You have the best recipes! can't wait to try this one! Yum! This looks like something I would scrape the top off of too! I agree the topping is definitely the best part! The things that get ingrained in us when we are little- love that this recipe looks so easy! Sounds delish - the perfect Sunday morning treat! I think it is official that you can now open up your own bakery between this and the lemon squares a while back. And all the other yummy goodness you have posted! 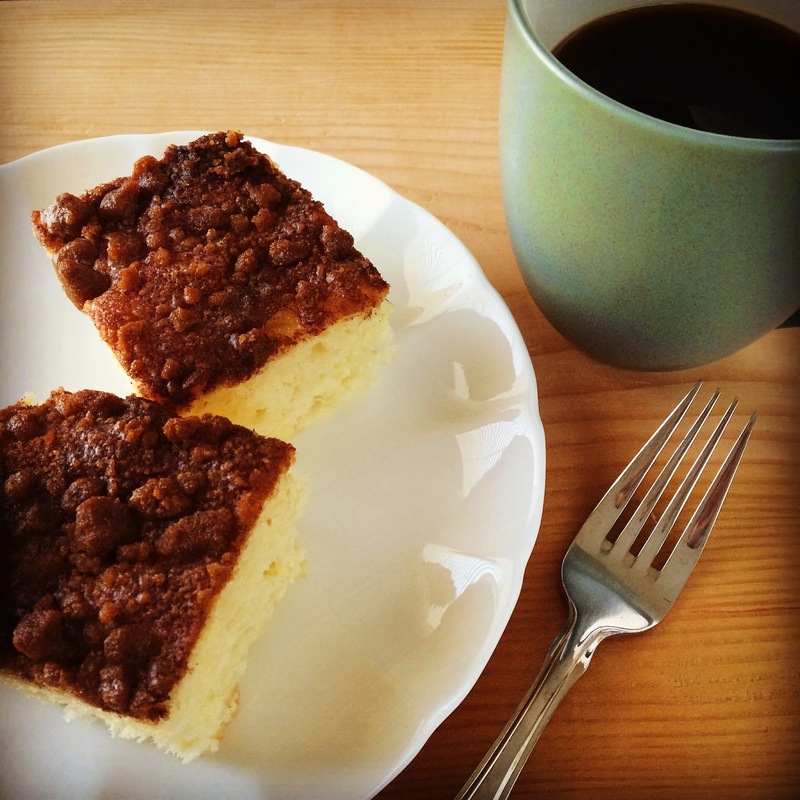 Omgosh, I have been craving coffee cake like crazy lately. I even bought the little Sarah Lee ones, haha. I DEFINITELY need to make these. Thank you! 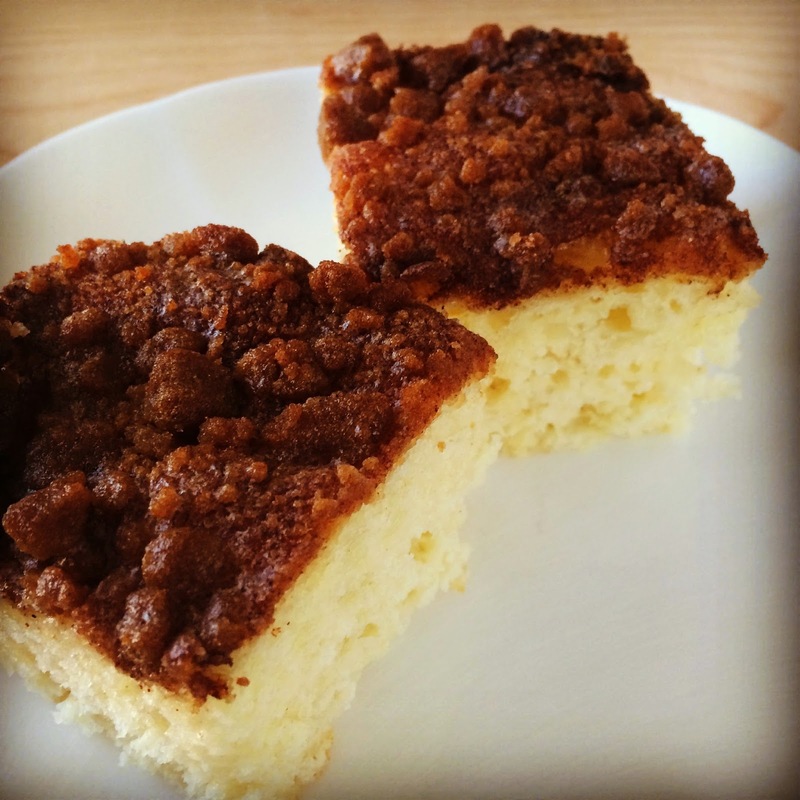 I love coffee cake! And I agree crumbles first always! That looks soooo yummy and fluffy! Can't wait to try it. Holy delicious! I need to make this!! Yum! Cannot wait to try this recipe... yumm! How much salt does it take? Yum!! I do have all of those ingredients! I wish our range was hooked up (granite being installed as I type) so I can't cook now. Maybe I will this weekend. Thanks for the recipe! Oh my goodness this looks amazing! And I think I have all these ingredients. :) Definitely making soon! I saw this picture show up on the side of your blog and I am so thankful I clicked on it! I am a sucker for baked goods. I will be trying this recipe. Thanks!